[PDF] Private Equity Accounting, Investor Reporting, and Beyond | Free eBooks Download - EBOOKEE! 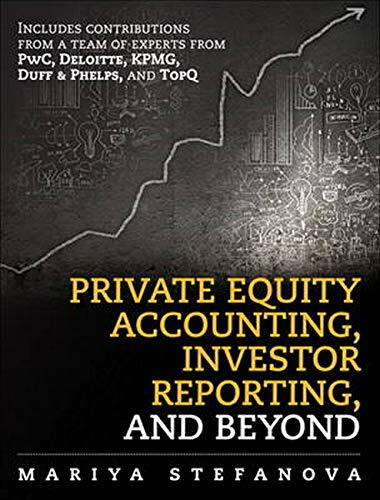 Description: Today's only advanced comprehensive guide to private equity accounting, investor reporting, valuations and performance measurement provides a complete update to reflect the latest standards and best practices, as well as the author's unique experience teaching hundreds of fund professionals. In Private Equity Accounting, Investor Reporting and Beyond Mariya Stefanova brings together comprehensive advanced accounting guidance and advice for all private equity practitioners and fund accountants worldwide: information once available only by learning from peers. Replete with up-to-date, user-friendly examples from all main jurisdictions, this guide explains the precise workings and lifecycles of private equity funds reviews commercial terms evaluates structures and tax treatments shows how to read Limited Partnership Agreements presents best-practice details and processes, and identifies costly pitfalls to avoid. No comments for "[PDF] Private Equity Accounting, Investor Reporting, and Beyond".